Siasconset, commonly known as Sconset, is located at the eastern end of the island about eight miles from town. Originally a fishing village, this charming and picturesque community combines modest, rose-covered cottages with elegant new homes. The beach, which is located at the end of Milestone Road, has heavy surf. There are lifeguards but no food or restrooms at the beach. 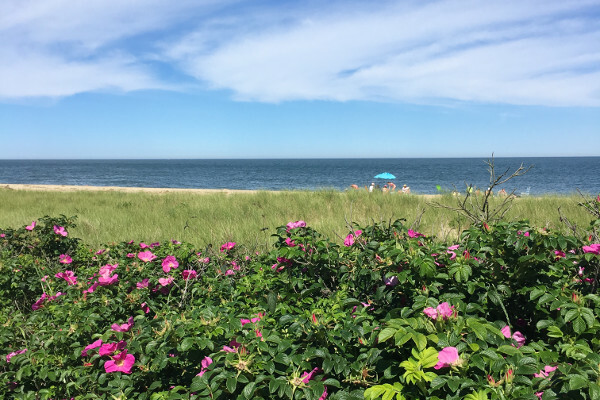 Sconset can be reached by way of a shuttle service, a private bus service, the 6-mile ride on Milestone Bike Path, or the less direct 9-mile Polpis bike path. The Sankaty Head Lighthouse sits high atop 90-foot high Sankaty Bluff. Built in 1849 and lit in 1850, this lighthouse overlooks an area of dangerous shoals. The grounds are open to the public, but the lighthouse is not. 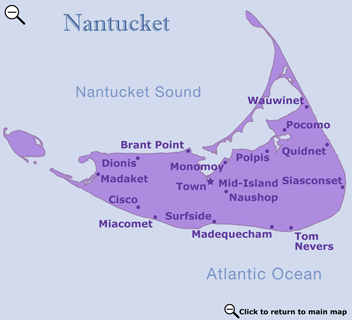 Siasconset has two golf courses, the Siasconset Golf Course, a public 9-hole course, and the Sankaty Head Golf Club, a private 18-hole course open to the public off season (Oct. – May). Siasconset Casino has tennis courts; it is primarily a private club, but does offer some public hours.